Over two hundred years after the birth of this Irish Surgeon who conducted the first clinical trials of Cannabis (on the treatment of convulsions, rheumatism, hydrophobia, tetanus, cholera, and more) and who brought its medicinal qualities to the attention of western Physicians, his native country finally acknowledged its medical potential. At the end of 2016 Dáil Éireann (the lower house and principal chamber of the Irish Legislature) passed a bill to make Cannabis available in Ireland for Medicinal Use, after the Government said it would not oppose the legislation. Along with his respected work with the Indian Hemp, Sir William O'Shaughnessy Brooke (M.D., F.R.S., F.R.C.S., F.S.A.) also made other significant contributions to Botany, Pharmacology, Chemistry, Toxicology, Metallurgy, Drug Clinical Trials, Science Education, Underwater Engineering, Galvanic Electricity, and the setting up of the Telegraph Network in India. Whilst in India, he introduced the first English textbooks (since Thomas Dyche's "A Guide to the English Tongue" in 1716) on Indian medicinal plants, which revolutionised the method of teaching Sciences to non-English-speaking students. His textbooks brought a common tongue to a country which had over 360 different languages and were made available in all educational facilities throughout India. He is even sometimes referred to as "the person who saved the British Empire in India during the 1850s". William was also responsible for laying the foundation for what was to become "Intravenous Fluid and Electrolyte-Replacement Therapy" - I.V. Therapy. So, who was Sir William O'Shaughnessy Brooke? Before we begin, we would like to point out that he started life as William Sands, later changed his name to William Brooke O'Shaughnessy, and then finally to William O'Shaughnessy Brooke. His father was Roman Catholic, but his mother was Church of Ireland (Protestant). It has always been assumed (primarily from records concerning William) that his uncle was Rev. Terence O'Shaughnessy the RC Dean of Ennis and his great-uncle was Rev. James O'Shaughnessy the RC Bishop of Killaloe. Although no documented evidence to support these claims has thus far been found, it might explain William's later reversion to the O'Shaughnessy surname (perhaps in order to receive support and educational funding). It could also be the reason why his father used a different name (Sands) to marry a Protestant woman, which would have allowed him to carry on with his work and life without the stigma attached to interfaith marriage. What follows are events in William's life which Ancestral Line will present, as best as possible, in chronological order. Much of this information has been independently sourced by Ancestral Line, but some has also been extracted from works by outside parties (references for which can be furnished upon request). Over time, we hope to build a more comprehensive biography on Sir William and welcome any additional information which might help paint a more vivid picture of this highly innovative man; from when he scurried around the streets of Limerick City as a child, to his final days in England. Ancestral Line would like to acknowledge Professor Dominic Harmon of Barrington's Hospital and University Hospital Limerick, who initially approached us to research Sir William. We would also like to acknowledge Dr. Graeme D. Eddie at Edinburgh University, Scotland; Dorian Leveque at the British Library in the U.K.; Denise Anderson at the U.K. Centre for Research Collections; Helen Strange at "The Friends of Highland Road Cemetery", Hampshire, UK. ; Aisling Lockhart at Trinity College Dublin, Ireland; and Alan Phelan, Archivist, at High School Dublin, Ireland. 6th Aug 1803: William's parents (Daniel Sands and Sarah Boswell) were married in the old Church of Ireland church in Kilnaughten (Tarbert), Kerry, Ireland (possibly by the Rev. William Andrews). Sponsor/Witness for the husband was Maria Banner. Sponsor/Witness for the wife was Jos Lindsay. On the marriage record it states that William's father, Daniel Sands, was from St. Michael's in Limerick and his mother, Sarah Boswell (residing in Glin), was from St. Munchin's in Limerick. Thus we are led to believe that William's father was a Catholic and his mother was a Protestant. Sarah Boswell: was born in Dublin, Ireland, in April 1773. She was the daughter of John Boswell (a merchant) and Henrietta Brooke. She died in Kilrush, Clare, Ireland, around 7th Jan 1835. She was a widow at the time and is buried in St. Senan's Church of Ireland graveyard in Kilrush. Her cousin, Lt. General William Joseph Eyre Brooke (son of Henry Brooke and Mary Allsbury) had a gravestone erected in memorial in the graveyard. It read: "Erected by Lieut. General Brooke in memory of his beloved cousin Mrs Sarah Sands who departed this life January 7 18?? (the decade was unreadable at the time) Aged *52 years. Absent from the body present in the Lord" . The stone still remains, but the inscriptions are no longer visible. * The “5” in age 52 was likely to have been misread by the transcriber - due to erosion - whereas it probably is “6” (62). Daniel Sands: was a Merchant in Limerick City and at one time worked out of Arthurs Quay. There are a few records of his business dealings in “Exports Foreign and Coast Aways 1807-1854” and he appears to have worked periodically from 1808 until 1817. He also seems to have been a “subscriber” to the Fever & Lock Hospital in Limerick (St. John’s), as recorded on 24th June 1812 in “Auditing Public Accounts in Ireland - The Account of the Governors of St. John’s”. However, in the “Literary Panorama & National Register” (vol 3, 1923), Daniel is also listed among those being in Bankruptcy in July 1815. On 2nd Dec 1819, he appears to have taken out some form of insurance with Norwich Union in Dublin. To date no records concerning Daniel's birth, baptism or death (under Sands, or O’Shaughnessy), have been sourced and thus the family's proclaimed connection to the RC Dean of Ennis - Rev. Terence O'Shaughnessy (c. 1761- 1848) - and to the RC Bishop of Killaloe - Rev. James O'Shaughnessy (c. 1744-1828), remains unproven. Daniel died sometime between Dec 1819 and March 1825 (place unknown). Oct 1808: William was born to Daniel Sands and Sarah Boswell, somewhere in County Limerick or County Clare, Ireland. However, there is a high probability that he was born in Limerick City, where his father was a merchant at the time. 1st Nov 1808: Baptised William Sands (Roman Catholic) in St. Michael's Church, Limerick City, Ireland. Rev. Thady O'Flynn carried out the ceremony. Sponsor/Witness for the father was John Sands. Sponsor/Witness for the mother was Catherine Connell. It is possible that sometime later in life William converted to the Protestant Faith (for marriage, educational, or inheritance reasons) because not only did he take the surname Brooke as his "middle" name, but because Lt. General William Joseph Eyre Brooke (mentioned above) also assumed the role of "Godfather" to William. Proof of this lies within the General's Last Will & Testament, where he refers to William as his "Godson". 1808 to 1818: Thus far no records on William's childhood years have been sourced, so we can only speculate. At the time of his childhood, the city of Limerick had already established itself as one of Ireland's major commercial trading ports - mostly due to the Napoleonic Wars which ravaged Europe. Although there was still a sharp divide between the rich and the poor in the city, we might safely assume that William was among the more fortunate few because of his father's employment as a shipping merchant. However, the economic downturn - which followed after the end of the European conflicts - could quite possibly have affected his father's work (perhaps evident in the fact that Daniel Sands was listed as bankrupt in 1815) and brought harder times upon the Sands family. While William's father tried to scrape a living in Limerick City, it's possible that the young William and his mother moved to the town of Kilrush, in County Clare, where they might have received assistance from the supposed O'Shaughnessy relations, and the Church. 1818 to 1824: According to the record for his entry into Trinity College Dublin in 1825, William's “Ludimagistri” (Headmaster) was noted as Rev. Fitzgerald. This apparently was his former teacher. It's therefore possible that William attended Ennis Grammar School in College Rd., Ennis, Co. Clare, during his adolescent life, while his mother remained in Kilrush. The School was one of those built by the Erasmus Smith Trust and the Rev. Michael Fitzgerald was Headmaster at the time. Although it was predominantly a Protestant boarding school, some Catholics did attend and some were indeed sponsored into Trinity College. The old school building still exists in College Rd., Ennis, but is now called "Erasmus House." 7th Mar 1825: William entered Trinity College, Dublin, to study medicine. His name was entered as Sands O'Shaughnessy, son of Daniel, Merchant, and born in Clare. He was listed as a "Pen" (Pensioner), which meant someone was paying/sponsoring his annual fee for the College. The Rev. Fitzgerald was noted as his “Ludimagistri” (Teacher). 20th Mar 1825: William was "put on books"at Trinity College, Dublin. His tutor was W. Harte. 13th May 1827: He transferred to the University of Edinburgh in Scotland and placed his mark in the matriculation album, signing as William Brooke O’Shaughnessy from Ennis, Ireland. He was no.1860 on the list of students to matriculate. The matriculation album is the University’s volume: ‘Matriculation’ 1816-1828. William also placed his mark for sessions 1827-1828, and 1828-1829. Whilst at Edinburgh University he studied Medicine, Chemistry, and Forensic Toxicology with Sir Robert Christison. He also studied anatomy with Professor Robert Knox, dissecting cadavers supplied by the infamous graverobbers Burke and Hare. 30th Mar 1829: He married Isabella Lawrence in St. Cuthbert's, Edinburgh, Midlothian, Scotland. 13th Jul 1829: William graduated. He received his degree in Doctor of Medicine after having gone through the appointed examinations, publicly defended his inaugural dissertations, and having written a graduation MD thesis entitled "De Metastasi Rheumatismi Acuti". He later signed in as a postgraduate student for the session 1829-1830. After receiving his degree, he became a clinical assistant to Dr. William Pulteney Alison of the Edinburgh faculty and also began lecturing and demonstrating forensic chemistry to a class of candidates for the medical degree at Edinburgh University. At the same time, he began his career as an original investigator in this field and, along with others, demonstrated the power of Chemistry in the maintenance and distribution of justice in the areas of Crime and Public Health. William was known for never letting anyone's reputation shake his confidence. 29th May 1830: Published in The Lancet (a peer-reviewed general medical journal): "On the Mode of Detecting Nitric Acid, and the total inefficacy of the New Test of Decolourising the Sulphate of Indigo". 2nd Jun 1830: He was living at 65, Lauriston, in Edinburgh, when he wrote a letter to the Editor of The Lancet updating his observations regarding his experiments on "The Detection of Nitric Acid". 13th Jul 1830: Published in The Lancet: "On the Detection of Iodine and the Hydriodate of Potash, in Animal and Mineral Admixture". 21st Aug 1830: Published in The Lancet: "Analysis of a Suspected Stain by Nitric Acid, with Observations". accuracy of toxicological analysis in forensic pathology". 2nd Oct 1830: Published in The Lancet: "On The Toxicological Relations of the Sulphocyanic Acid". 13th Nov 1830: He published an Erratum in The Lancet. Late 1830: William moved to London, hoping to get a licence to practice medicine there. He couldn't get one, however, as he wasn't a Licentiate of The College of Physicians, so he set up his own Forensic Toxicology Lab and did chemical analysis of blood and other matter for doctors, hospitals, and courts. 23rd Apr 1831: William attended a public meeting of the Members of the Medical Profession at the London College of Medicine. He was a member, and also Secretary to the Committee. 14th May 1831: He published in The Lancet: "Poisoned Confectionary. The Detection of Gambogf, Lead, Copper, Mercury, and Chromate of Lead, in various articles of Sugar Confectionary". William put these findings to the British Government after arranging an interview with the "Secretary of the Home Department". Oct 1831: An outbreak of Cholera in Sunderland sparked William's interest in the disease and he began investigating the blood of its victims. At the time it wasn't known what caused the disease or indeed what type of Cholera it was. He became so obsessed about the cause of the disease, and about finding a cure, that he wanted to go to the north of England to investigate the epidemic first hand. He even stated it was "...for the purpose of making myself practically acquainted with the celebrated disease". 3rd Dec 1831: William read to the Westminster Medical Society his "Proposal of a New Method of Treating the Blue Epidemic Cholera by the Injection of Highly-Oxygenised Salts into the Venous System". Soon after, the newly formed "Central Board of Health" (on a recommendation from a Vice-President of "The London College of Physicians") requested that William should indeed go to Sunderland to analyse the blood and excreta of Cholera victims. electrolytic depletion, acidosis and nitrogen retention,” and that “treatment must depend on Intravenous (I.V.) replacement of the deficient salt and water”. 10th Dec 1831: The Lancet published William's "Proposal of a New Method of Treating the Blue Epidemic Cholera by the Injection of Highly-Oxygenised Salts into the Venous System" (the birth of I.V. fluid therapy - commonly known today as "the Drip"). 29th Dec 1831: He wrote a letter to the Editor of The Lancet regarding his "completed experiments in Newcastle-on-Tyne and the state of Acidosis in Asiatic Cholera". 31st Dec 1831: Published in The Lancet: "Experiments on the Blood in Cholera". Also During 1831: William applied for the "Chair of Medical Jurisprudence" in the University of London (academic forensic medicine), but was unsuccessful. He did, however, become Secretary of a group formed to promote a "London Medical College" in order to counter the closed shop of the "College of Physicians". He also published a paper "on methods used to detect the presence of opium" and in The Lancet a translation from French of Physician J.G.A. Lugol's work on iodine. 7th Jan 1832: After returning from northern England, he presented his findings on cholera to the "Board of Health". His findings were published as "A Report on the Chemical Pathology of the Malignant Cholera". Doctors soon began testing his suggestion; successfully saving the lives of nearly half their patients using the I.V. Therapy. 26th May 1832: William published in The Lancet; "Chemical Pathology of Cholera. Remarks on "Dr. Thompson's analysis of the blood of individuals affected with Malignant Cholera". 23rd Feb 1833: Published in The Lancet: "On the Blood in the Cholera". Sir William Russell, Bart. MD. FRS., who had returned from Calcutta to form the Cholera Commission in London, was impressed with William's work and recommended him to John Goldsborough Ravenshaw of the East India Company. 1833: Daughter, Isabella Mary O'Shaughnessy, was born. 28th Jun 1833: A letter was sent from John G. Ravenshaw Esq. to W. Abington Esq. telling him to prepare the necessary papers for William’s nomination for Assistant Surgeon in Bengal. 19th & 24th Jul 1833: Sir William Russell, Bart. reviewed and signed the papers. 23rd Jul 1833: W. Abington Esq. and W.H. Chambers signed that William was considered qualified to travel to India as an Assistant Surgeon. In these papers it was stated that William’s father was dead and his mother ill. There was also a letter from Rev. Patrick Hogan of St. Michael’s in Limerick City confirming William’s baptism. However, William’s father was now stated as being Daniel (T or F) O’Shaughnessy. All the other details match those on the original baptismal record. 24th Jul 1833: A security bond of £400 was taken out for William's wife Isabella and daughter. It was for their passage to Bengal. The sureties were; Surgeon William D. Carroll of the Royal Infirmary in London and Robert Maynard, Warehouseman ("it was common with commercial and government (Royal) controlled enterprises in earlier years, in which citizens were employed to undertake paid services, to require them to sign a Covenant of good behaviour and to limit their activities to the requirements of their employer. In order to ensure that the terms of the Covenant were respected, it was practice to obtain ‘Guarantees’ from (usually) two citizens (or, ‘Sureties’) of repute. They would be required to issue bonds whereby they undertook to pay a certain sum of money in the event that the employee broke the terms of his Covenant"). 8th Aug 1833: William entered the Bengal Medical Establishment of the East India Company as Assistant Surgeon. At the time of his application his father was described as a Merchant, deceased, of Limerick, and his mother as Mrs S. Sands of Kilrush, Co. Clare. Dec 1833: He and his 1st wife, Isabella, along with their daughter Isabella, arrived in Calcutta, India, on the ship “Catherine” out of London, England. 10th Dec 1833: Arrived at Fort William and took up his duties as Assist. Surgeon. 3rd Apr 1834: William was put in medical charge of the civil station of Gyah. 30th Aug 1834: William's first wife, Isabella Lawrence, died of Apoplexy in Calcutta West Bengal, India. She was buried in Fort William, Bengal. 18th Sept 1834: He was put in medical charge of the civil station of Cuttack. 1st Dec 1834: Put on duty detachment to 72nd Bengal Native Infantry. By the end of the year he was with the artillery at Dum Dum. 7th Feb 1835: Published in The Lancet: "Discovery of a New Principle (Sub-Rubrine) in Human Blood; In Health and Disease, and also in the Blood of Several of the Lower Mammalia". 9th Feb 1835: He was on duty with the 10th Regiment Bengal Light Cavalry. 31st Mar 1835: While he was on duty with the 10th Cavalry in the Muttra district of India, William wrote a letter to the Governor-General of India, Sir Charles T. Metcalfe, seeking employment in the Medical School of Calcutta. He also became Sir Charles' personal Physician for a time. 11th May 1835: William was appointed Officiating 1st Assistant to the Opium Agent in Behar. 5th Aug 1835: Appointed Professor of Chemistry and Materia Medicia to the New Medical College at Calcutta. Sometime after this his interest in Indian Hemp grew. He began collecting existing reports on cannabis, then started testing its effects on animals, noting the results in great detail. He eventually progressed to testing it on humans. On one report he states: "It seems needless to dwell on the details of each experiment; suffice it to say that they led to one remarkable result - that while carnivorous animals and fish, dogs, cats, swine, vultures, crows and adjutants, invariably and speedily exhibited the intoxicating influence of the drug, the graminivorous, such as the horse, deer, monkey, goat, sheep and cow, experienced but trivial effects from any dose we administered.". He was the first British Doctor to obtain first-hand results using his own experiments, instead of relying on the "stagnant" and "unproven" reports from others. 12th Nov 1835: William married his second wife, Margaret O'Shaughnessy, in Calcutta, West Bengal, India. 1837: He published "A Manual of Chemistry". 7th Aug 1837: Daughter, Mary Jane O'Shaughnessy, was born in Calcutta, India. 26th Oct 1837: William became Asst. Secretary to the Committee on Materia Medica. 11th Jan 1838: He was allowed to enter Private Practice. 25th Jun 1838: Appointed Secretary to the Committee on Indian Materia Medicia. 13th Aug 1838: He put forward a motion to a special Committee of the Asiatic Society in Calcutta that "a small portion of the funds of the Asiatic Society may be advantageously devoted to completing the publication of the Sanskrita version by Madhusudana Gupta of Hooper's Anatomist's Vade Mecum". 10th Sept 1838: William began treating a month-old baby for convulsions (possibly epilepsy) and used Hemp Resin to successfully ease her symptoms. 27th Sept 1838: Daughter, Maria Margaret O'Shaughnessy, was born in Calcutta, India. 6th Nov 1838: William carried out his first experiments with Hemp Resin on Rheumatism. His 3 patients were in the Clinical Hospital of the Calcutta Medical College. 22nd Nov 1838: He treated a man with Hemp Resin for Hydrophobia after he was bitten by a rabid dog. 5th Dec 1838: William was present at the Proceedings of the Asiatic Society in Calcutta, as officiating Secretary. 13th Dec 1838: William began using Hemp Resin to treat the skin ulcers of a man who was infected with Traumatic Tetanus (Lockjaw). The patient eventually died from a different disease, but the Resin had proved itself as an effective sedative. 1838 - 1839: William discovered Narcotine (Noscapine), a previously unknown alkaloid in opium. He visited an opium den to see for himself how it was prepared, and then wrote a paper on "cases of real and suspected poisoning" in India in 1839. He then widened his research into the Indian Materia Medica to demonstrate "the valuable therapeutic properties of some Indian vegetable remedies and to construct a pharmacopoeia for the poor to whom the costly remedies of Europe and South America are inaccessible". In the first quarterly report of the Committee on Indian Materia Medica, the Governor-General stated that “the report does much credit to the ability, ingenuity and industry of Dr.O’Shaughnessy as well as the Committee in general”. Satisfaction was also expressed “at the success of his new remedial agent Narcotive as a substitute for quinine”. Apr-May 1839: William and his workforce erected the first long line of Telegraph ever constructed in any country in the Calcutta region. The line was 21 miles in length. 20th Jul 1839: Published in The Lancet: "On Narcotine as a Substitute for Quinine in Intermittent Fever". 31st Aug 1839: William reported to the Government on the possibilities of extracting Pyroligneous Acid during the process of preparing Charcoal for the manufacture of Gunpowder. Sept 1839: He published in the Journal of the Asiatic Society of Bengal a; "Memoranda relative to Experiments on the Communication of Telegraphic Signals induced by Electricity" and, an "Extract from a Memoir on the Preparations of the Indian Hemp, or Gunjah (Cannabis Indica). 3rd Oct 1839: William's experiments with Photogenic Drawing (photographic process capable of producing negative images on paper) were reported in The Calcutta Courier after they were demonstrated to the Asiatic Society of Bengal earlier in the month. 4th Oct 1839: His experiments with Photogenic Drawing were also mentioned in The Englishman and Military Chronicle. Oct 1839: Had published in the Journal of the Asiatic Society of Bengal a continuation of; "On the Preparations of the Indian Hemp, or Gunjah (Cannabis Indica) and, "On the Explosion of Gun Powder under Water by the Galvanic Battery". 14th Dec 1839: William successfully blew up a sunken wreck at Fultah Reach using ten Galvanic Cells of his own invention. 28th Feb 1840: His experiments on Photogenic Drawing were described and discussed in the German newspaper Hannoversche Zeitung. 23rd Apr 1840: He was appointed Chemical Examiner to the Government. 30th Apr 1840: William gave a lecture in Calcutta Government House on Electro-Magnetism and the Daguerrotype (a type of photographic process). 4th Jul 1840: Published in The Lancet: "New Remedy for Tetanus and other Convulsive Disorders". 28th Aug 1840: He gave another lecture in Government House. This time on Galvanism. He was also praised by the Calcutta Courier for his lecturing ability; "no lecturer, we ever heard, has the gift in greater perfection than Dr. O’Shaughnessy of rendering his subject lucid - he brings the matter down to the capacity of even the unscientific". 7th Dec 1840: William gave a lecture in Calcutta Government House on the history of the Electric Telegraph and included a demonstration of the combustion of Charcoal by Galvanic Agency. 9th Dec 1840: William's wife Margaret and his daughters - Margaret, Isabella, Sarah, & Mary Jane - departed Calcutta for London on the ship "Reliance", which was Captained by R. Patullo. During 1841: He published “A Report of Poisoning” and “Lectures on Galvanic Electricity”. Sometime this year, William also found the critical piece of evidence in a murder investigation - fragments of metallic arsenic in the stomach of a cadaver which had been buried for almost eight months. 15th Apr 1841: He was appointed Acting Secretary to the Medical College. 15th May 1841: He became Lecturer to the Medical College at Calcutta. 1st Nov 1841: William was relieved from duty (on medical grounds) as Professor of Chemistry and Materia Medics at the Medical College. The Government recorded “its sense of his merits and of the valuable service he had rendered to Science in India”. 29th Nov 1841: He was sent back to England on medical leave. He traveled on the ship "Bangalore" out of Calcutta, piloted by Captain Smith. He brought quantities of Hemp for the Pharmaceutical Society and specimens of Cannabis Indica and Nux Vomica back to the Royal Botanical Gardens at Kew. 1842: Published the “Bengal Dispensatory” (Calcutta) and “Communication of Telegraphic Signals”. 1843: He published “Effects of Seawater on Iron”. 31st Jan 1843: William was issued a "Certificate of Candidature for Election to Fellow of the Royal Society". 4th Feb 1843: The Provincial Medical Journal published William's paper; "On The Preparations of the Indian Hemp, or Gunjah, (Cannabis Indica)". 8th Feb 1843: Whilst in London, William wrote an additional note to the Editors of the Provincial Medical Journal regarding his paper on Indian Hemp, which had been lately published in their Journal. 1844: He published the “Bengal Pharmacopoeia”. 20th Jan 1844: William and his wife returned to Calcutta on the ship "Hindostan", via Suez (28th Dec), Aden (2nd Jan), and Ceylon (17th Jan), Captained by R. Moresby. 3rd May 1844: He was re-appointed as Chemical Examiner to Government. 22nd Nov 1844: William was appointed Officiating Deputy Assay Master of the Calcutta Mint. He held an office that required a thorough knowledge of Chemistry as well as being an important political post. He was in charge of converting diverse gold currencies into a standardised gold coin issued by the East India Company from its mint and bearing its seal. He worked not just within the laboratory but also lectured and performed experiments in public and at select salons. 16th Dec 1844: A son of William was born in Calcutta, Bengal, India. 26th Aug 1846: William was appointed Deputy Assay Master of the Calcutta Mint. 28th Aug 1846: A daughter of William was born in Calcutta, Bengal, India. 3rd Dec 1848: A son of William was born in Darjeeling, West Bengal, India. 5th Dec 1848: William was promoted to the rank of Surgeon. 24th Dec 1849: He sent a report to Captain Scott, Secretary to the Military Board. 18th Feb 1850: He sent another report to the Military Board. 3rd Dec 1850: A daughter of William was born in Calcutta, Bengal, India. Early 1851: William began work on an experimental Telegraph line, half subterranean and half overground, thirty miles in length. 20th Jan 1851: He was appointed Officiating Assay Master of the Calcutta Mint. 10th Mar 1851: He reported to the Indian Government on the Calcutta to Diamond Harbour Telegraph line. 4th Oct 1851: Opened 4 offices on this line between Calcutta and Diamond Harbour. 1852: William was appointed Superintendent of Electric Telegraphs in India. He also had a Pamphlet published in Calcutta by the Government, entitled “Report on Establishment of the Electric Telegraph”. 3rd Feb 1852: Opened an extension of Telegraph line from Diamond Harbour to Kedgeree, which put an important place of call for ships at the mouth of the Hughli in direct communication with Calcutta. 10th Feb 1852: William wrote to J.P. Grant, Secretary to the Government of Bengal, regarding the Telegraph Line. 3rd Mar 1852: He sent to J.P. Grant "an abstract account of the construction of the experimental Electric Telegraph Line from Calcutta to Kedgeree". 30th Mar 1852: Submitted a full report to the Government on the progress made on the experimental Telegraph line. 14th Apr 1852: Impressed with William's work, the Governor-General of India (Lord Dalhousie) recommended that "sanction should be accorded to the immediate construction of lines from Calcutta to Peshawar, Calcutta to Bombay, and Calcutta to Madras". He further recommended that William should "proceed to England to arrange for the necessary stores, and that he should be granted a bonus of Rs. 2 0,000".
" I believe I am doing no more than expressing the universal opinion of the community when I say that for them (the results obtained) the Government of India is indebted to the ability, the undaunted energy, the perseverance and skill of Dr. W. O'Shaughnessy. He has accomplished the whole unaided, within a comparatively short time, in the midst of other important duties and without any remuneration whatever." Apr 1852: William left Calcutta for Southampton, England, on the ship "Pottinger" Captained by J.E. Field. He was accompanied by one of his children (assumed to be a son) and a native female servant. He left to acquire men, materials and stores, for the development of the Telegraph in India and seek approval for the Governor-General’s plans to further extend the Telegraph service. 20th Jun 1852: He reported to India House and met with Sir James Weir Hogg, Chairman of the Court of Directors, to find out that Governor-General’s propositions had been sanctioned. 1853: William published “The Electric Telegraph in British India: A Manual of Instructions for the Subordinate Officers, Artificers, and Signallers Employed in the Department ”. 2nd - 7th May 1853: William was witness to the laying of Telegraph cable from St. Margaret's Bay near Dover, to Middlekerke in Belgium and was probably on board the cable-laying ship the "William Hutt". The cable was connected in St. Margaret's Bay on the 2nd, and at 1pm on the 6th the Belgian end was connected. At 2pm, messages were sent through the cable to Dover, Calais, and London. Oct 1853: William returned to Calcutta in India, via Suez, on the ship "Hindostan" under Captain H. Harris. A son and his wife accompanied him. 24th Nov 1853: Appointed Superintendent of Electric Telegraphs in India. 24th Mar 1854: William used the Telegraph Line to convey his regards from Agra to the Governor-General. 1854: Sometime during this year, William suffered an attack of Cerebral Congestion - which was probably brought on by his excessive workload. 19th Feb 1856: Lord Dalhousie recorded; "I have so often had occasion to applaud the ability, the energy, and unflagging exertion of the Superintendent, Dr. O'Shaughnessy, that it would seem a superfluous repetition to express again my acknowledgements now. Nevertheless I desire to record once more the full measure of approbation and gratitude...". 1st Mar 1856: William was permitted to proceed to Europe on duty and to be absent from India for one year. 6th Mar 1856: The Governer-General of India, Lord Dahlhousie, ended his term in India and headed back to the UK. He was one of William's greatest supporters and advocators in the country. His retirement proved to be a turning point in William's Indian career, for Lord Dalhousie's successors were not as readily accepting of William and made things difficult for him. 11th Mar 1856: William left Calcutta for Marseilles, France, on the ship "Nubia" piloted by Captain Powell. 28th Nov 1856: He was Knighted for his services in connection with the establishment and extension of the Telegraph in India. Whilst in England he also arranged for the introduction of the Morse system of signalling and 74 officers were instructed in London in the use of the instrument, then sent to India in the following two years. 13th May 1857: A bond of covenant was drawn up between William and John Connell Fitzgerald. 1st Aug 1857: William was on board the British ship "Agamemnon" when it was on a joint venture with the American ship "Niagara" to lay the first transatlantic Telegraph cable between Valentia Harbour in Ireland and Trinity Bay in Newfoundland. Also on board was his dear friend, Samuel Morse (inventor of Morse Code), where William treated an injury Samuel had received to his left leg. 26th Sept 1857: He had completed a "Secret Cipher Code" which was forwarded to the Commissioner of Scinde, and the Chief Commissioners in the Punjab. 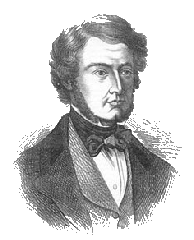 1st Oct 1857: After a long meeting with Lord Palmerston, William left England for India. He went via Constantinople, where he stayed for a few days in order to arrange with the Turkish Government for the construction of a telegraph from that city to Bagdad. The line was to be constructed by the Turkish Government, be under its sole control, and to be connected with the East India Company's telegraph down the Persian Gulf to Kurrachee. 1858: William devised a fine wire coil ("fuse") to protect internal circuits from lightning. 24th Feb 1858: William's wife & three kids arrived back in Southampton, England, on the ship "Madras" out of Bombay, Captained by Commander Henry Down. 1st Feb 1859: He was promoted to Surgeon Major. 19th Dec 1859: William wrote an urgent letter to C. Beadon Esq. and Lord Harris telling them of General Napier's 14th Dragoons victory over the Ferozeshah rebels at Ranode on the 17th. 27th Apr 1860: William submitted an application for 18 months leave to Europe, on the grounds of ill health, with a clear understanding that he would not be returning to India afterwards. "We have at our disposal at a moderate cost an instrument of such muaculous power, that by a single message it has already saved our Indian Empire, while day by day, and hour by hour, it is busy in the promotion of commerce and the furtherance of public interests of every kind. In my extended tours over all parts of India I have seldom met a family who had not some anecdote to tell of the services the telegraph had done them. There are few Europeans in India who have not experienced a thrill of pleasure when they met our masts and wires on the margin of every road, and know that these true tokens of science and civilisation and power traverse our Indian Empire to its uttermost limits. Should I see them no more, I can truly say that I shall ever continue to take the most heartfelt interest in the prosperity and improvement of the Department, and feel proud and happy that it has been my lot to bring it even to its present imperfect state." 13th Jun 1860: Went on medical leave to England. 1861: He changed his name to William O’Shaughnessy Brooke by Royal License, possibly for inheritance from the Brooke side of his heritage. There is also speculation that he might have changed his name to marry his 3rd wife, Julia Greenly, because to-date there is no record of him having officially divorced Margaret. 8th Mar 1861: William gave notice of his invention for "improvements in apparatus for suspending electric telegraph wires” (London Gazette). 17th Jul 1861: He gave notice of his invention for "improvements in apparatus for suspending and insulating electric telegraph wires” (London Gazette). 10th Oct 1861: Sir William retired from the East India Company. 2nd Sept 1862: Gave notice of his invention for "improvements in the construction of sub-marine telegraphic cables" (London Gazette). 11th Jun 1870: Death of (estranged) 2nd wife, Margaret O'Shaughnessy, in Bayswater, London, England. 2nd Apr 1871: William and his family were living in Ryde View Charlton House, Portsea, Portsea Island, Hampshire, England. He was noted as being a "Surgeon Major Retired" (born in Limerick, Ireland). Wife: Lady Julia Brooke (born c.1829 inYarmouth, England) - Daughter: Julia Brooke (born c.1862 in Paris, France) - Sons: Edward Brooke (born c.1863 in Brighton, England) & Albert Brooke (born c1865. in Prussia). 26th May 1882: Ammended his "Last Will & Testament", making his wife Julia Greenly sole executor. 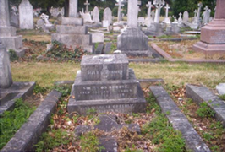 8th Jan 1889: Sir William O'Shaughnessy Brooke died in Clarence Parade, Southsea, Hampshire, England. He is buried in Highland Rd. Cemetery, Portsmouth.